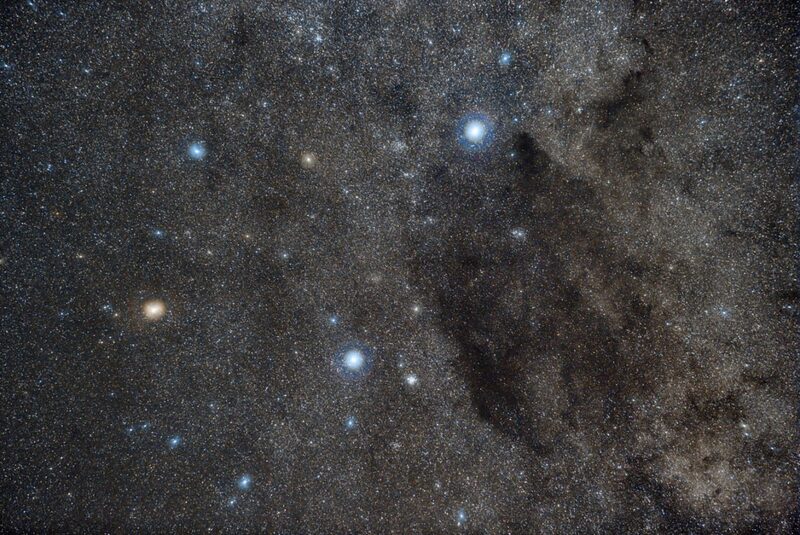 The Southern Cross (Crux) and The Coalsack dark nebula. I used a diffusion filter to enhance star colour and to make the constellation even more obvious. Crux is probably the most famous constellation in the Southern skies, even though it has the smallest surface of all the 88 constellations in both hemispheres.